One of my favorite restaurants at Disney is 'Ohana. 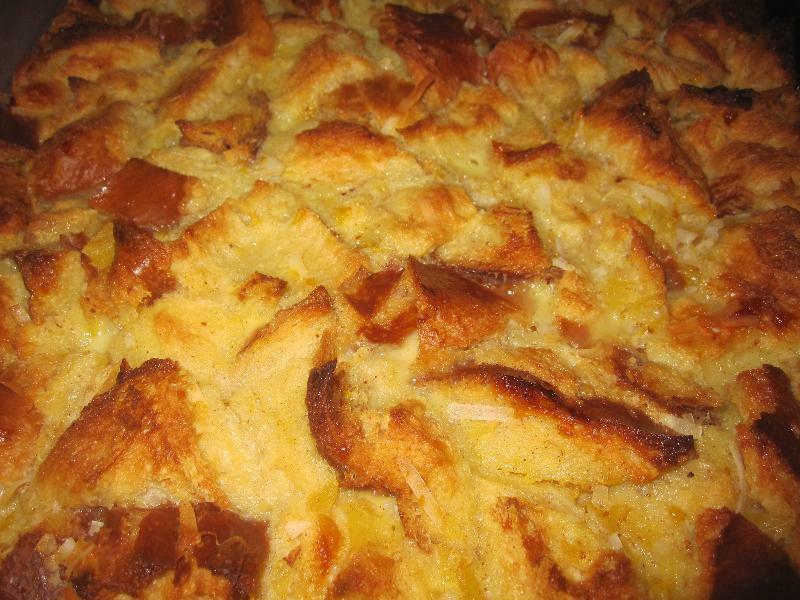 It has a fabulous dessert of bread pudding. It is the highlight of the all you care to eat meal. If you are ever at the World then you must eat at 'Ohana. When I came across this recipe I knew that I had to try it. It wasn't complicated at all. The best part is that it tastes amazing. Just like the dessert at 'Ohana. My husband said it best when he said that it was better than 'Ohana. I have made it twice already! In large bowl, whisk the eggs, milk, salt, sugar, cinnamon, and nutmeg. Cut the bread into 1/2-inch cubes. Add the bread, pineapple, coconut, and raisins to the egg-and-milk mixture. Add the bread custard mix to the greased baking dish and bake 1 hour and 10 minutes. Remove from oven. Let stand 5 minutes. In a sauce pan, combine the dark brown sugar, corn syrup, butter, and half of the heavy cream. Using high heat; bring it to a rolling boil. Allow the mixture to boil 10 minutes and add remaining heavy cream. Let it boil an additional minute. Now add the rum and vanilla extract. Carefully flambe pan using a long stemmed lighter. Let boil until the flame goes out. Reduce to a simmer and stir with a high heat spatula. Peel and slice the bananas; add them to the caramel sauce. Remove the caramel from the heat and set aside. 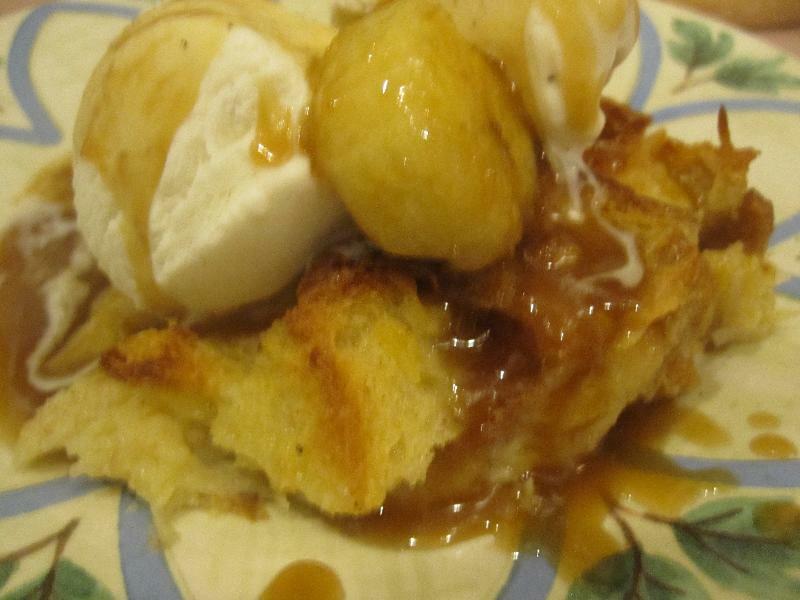 Place a scoop of ice cream on top of each portion of bread pudding. Top with bananas Foster sauce.